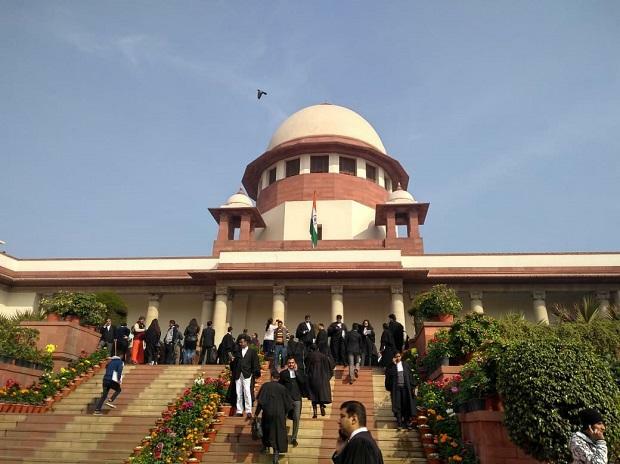 The government Tuesday said in Rajya Sabha that it is fully committed to reservation and will soon file a review petition in the Supreme Court on reservation mechanism for faculties in universities. The Upper House took up a short discussion on notices given by SP, BSP, RJD and CPI members regarding the reservation issue in universities. Opposition parties demanded that the government bring a separate law to protect the interest of scheduled castes (SC) scheduled tribes (ST) and other backward classes (OBC) instead of filing review petition in the apex court. Replying on the issue, HRD Minister Prakash Javadekar said, "We are sensitive to the issue raised in the House because we are part of the reservation campaign. We want reservation to continue." "The department-wise roster has not been brought by the government but it had to be brought following the court's direction. We were not in agreement with the court's direction and therefore filed a special leave petition (SLP)." The government has put forth its views strongly during the hearing of SLP, the minister said and added the SLP was filed after conducting a study in 30-40 universities to ascertain how department-wise reservation to faculty would affect SC, ST and OBCs. "We are 100 per cent committed towards reservation," he said, and expressed confidence of getting a favourable judgement in the review petition. On the University Grant Commission (UGC) circular on appointments, the minister said it has not withdrawn the circular. "We are taking a legal opinion to seek a stay on the circular." Opposition members were not satisfied with the reply and were up on their feet. Amid uproar, Chairman M Venkaiah Naidu adjourned the House till 2 PM. Earlier initiating the debate, Ramgopal Yadav (SP) said that he feared that reservation to backward classes will be affected if the 13 point-roster is followed. "After the Allahabad Court order, the 13 point-roster has been issued instead of the earlier mechanism of 200-point roster. Earlier an university was considered as one unit, now a department in a college is treated as one unit," he said. "If there are 13 posts in a department, then there will be nine from general category, 3 from OBC and one from SC.The fourth post for ST will never be there. In the next 200 years also, a ST will never get a posting in a department or a college," he added. Yadav said 13 universities have come out with advertisement for 706 posts. Of which, 18 are for SCs, 57 for OBCs and none for ST and 640 for general category. "If this is the situation, then the reservation provided in the Constitution and the Indra Sahani case being said as valid -- will make no sense," he said. Charging that the government did not present the case in the court properly, Yadav asked the government to bring a new bill. "You brought a bill on Economically Weaker Section (EWS) in 48 hours. Why don't you bring a bill that concerns 85 per cent of the people?," he said. Echoing his views, Satish Chandra Misra (BSP) said advertisements have been issued despite assurance by the minister that no appointments would be made under the guidelines issued following the judgement of the Allahabad High Court. "STs in departments with less than seven seats will never get reservation or get in 20 years. The minister agrees that it is wrong. If it is wrong, why is he not bringing the bill," he said, insisting the government bring a bill in this session. Manoj Kumar Jha (RJD) said the matter was very important as there is huge uproar in colleges and universities. "I saw new roster and on the 10th number, EWS is there. There is no mention of ST on the roster. The representation for OBC, ST and SC is also reducing. The review petition is of no help," he said. Jha said the government had brought a bill for EWS in 48 hours and urged it to show the same sensitivity towards Dalits, SC and STs. Holding that the present move of the government is going to close the doors for SC, ST and OBCs, Binoy Viswam (CPI) said the government should uphold the principle of social justice. "We believe that with all sense the government will now understand the pulse of the House and give an assurance that roster should be according to the 200-point," he added. The University Grants Commission (UGC) had announced in March last year that an individual department should be considered as a base unit to calculate the number of teaching posts to be reserved for Scheduled Caste (SC) and Scheduled Tribe (ST) candidates following an order by the Allahabad High Court in April in 2017. Earlier after laying of papers, Naidu said since only four days are left in the Budget session, the House should decide when to have a discussion on the Motion of Thanks to the President's Address. He adjourned the House for 10 minutes till 11:20 PM to give time to both treasury and Opposition benches to decide on the issue. Before adjourning, Naidu got visibly upset over Neeraj Shekar's (SP) interruption when the Chairman was making his suggestion to run the House for taking up discussion on the President's address. Then Leader of Opposition in the Upper House, Ghulam Nabi Azad said, "I will appeal to members not to disturb." Naidu said, "Ramgopal Yadavji, if this is the way to run the House. I will not run. I am incapable of running the House like this." Earlier when the House resumed at 11.20 PM, Naidu allowed members, who had given notice on the issue of reservation, to raise their concern. "We will be taking up the Presidential address, before that an important issue has been raised that still remains unresolved and it has wider implication across the country including some misgivings in some section," he said.